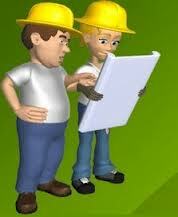 Free download Civil engineering seminar on latest Technology,Current Technology,structure and design in Civil Engineering and Construction Technology.You can Download Civil Engineering Seminar with PPT and Complete Report from EnggRoom.com.We Provide Free Civil Engineering Projects with Complete report and presentation,Download Civil Engineering Technical Seminar Presentation.Please Like us on Face book For the Same. Lightweight concrete can be defined as a type of concrete which includes an expanding agent in that it increases the volume of the mixture while giving additional qualities and lessened the dead weight. It is lighter than the conventional concrete. The use of lightweight concrete has been widely spread across countries such as USA, United Kingdom and Sweden.It was first introduced by the Romans in the second century where ‘The Pantheon’ has been constructed using pumice, the most common type of aggregate used. The building of ‘The Pantheon’ of lightweight concrete material is still standing eminently in Rome until now for about 18 centuries.It shows that the lighter materials can be used in concrete.Free Download Lightweight Concrete Design Seminar with complete PPT. A composite elevated water tank is comprised of a welded steel tank for watertight containment, a single pedestal concrete support structure, a foundation, and accessories. These tanks are also sometimes referred to as “concrete pedestal elevated tanks.” The steel tank provides a proven, watertight container derived from the AWWA D100 Standard for welded steel tanks which has demonstrated superior performance through decades of use by the water industry. The reinforced concrete support column provides a cost effective, structurally robust pedestal with minimal maintenance. Nowadays concrete is increasingly being used in more hostile environmental condition And durability is depend on materials In marine structure the concrete has to withstand the physical, chemical , mechanical action of sea water and alternate wetting and drying condition with salted water Important factor is permeability. The deterioration is mainly because of sulphate and chloride content of sea water Dance concrete prevent deterioration and this can be achieved by replacing cement by mineral admixture. Gravity dams were the first type of dam constructed, and were made from stone bricks. It was built by the Egyptians around 2950 to 2750 BC. The dam called Saddel-Kafara and meaning “Dam of the Pagans”. A covering of limestone was applied to the dam to protect it from erosion. Due to shoddy and hasty workmanship, the dam failed to be watertight eventually resulting in its erosion after only a few years.Free Download Complete Powerpoint Presentaion on Gravity Dam. Preferred Tags:Free Download Gravity Dam Seminar,Civil Engineering Seminar. Fibre reinforced concrete (FRC) is concrete containing fibrous material which increases its structural integrity. It contains short discrete fibres that are uniformly distributed and randomly oriented. Fibres include steel fibres, glass fibres, plastic fibres, carbon fibres and natural fibres. Within these different fibres the character of fibre reinforced concrete changes with varying concretes, fibre materials, geometries, distribution, orientation and densities.When the loads imposed on concrete approach that for failure cracks will propagate, sometimes rapidly; fibres in concrete provide a means of arresting the crack growth. Reinforcing steel bars in concrete have the same beneficial effect because they act as long continuous fibres. Short discontinuous fibres have the advantage, however, of being uniformly mixed and dispersed throughout the concrete. Fibres are added to a concrete mix which normally contains cement, water and fine coarse aggregate. Wind forces undoubtedly play a significant role in the design and operations of large steerable antennas, and the need for satisfactory estimates of these forces is becoming increasingly evident. A resolution of the problem of predicting wind forces on antennas depends upon improved knowledge of the variation of pressures and local velocities on the reflector and it’s supporting framework, integrated loadings, and ground effect for both solid and porous conditions. ultra-High Performance Concrete (UHPC) is one of the latest advances in concrete technology and it addresses the shortcomings of many concretes today: low strength to weight ratio, low tensile strength, low ductility, and volume instability. In addition to achieving high compressive strengths in excess of 25,000 psi (sometimes greater than 30,000 psi), UHPC is also nearly impermeable. This very low permeability allows UHPC to withstand many distresses normally associated with NSC and HPC such as freeze-thaw deterioration, corrosion of embedded steel, and chemical ingress. It is also known as Reactive Powder Concrete (RPC). It is a high strength, ductile material formulated by combining Portland cement, silica fume, quartz flour, fine silica sand, high-range water reducer, water, and steel or organic fibers. The first hollow concrete block was designed in 1890 by Harmon S. Palmer in the United States. After 10 years of experimenting, Palmer patented the design in 1900. Palmer's blocks were 8 in (20.3 cm) by 10 in (25.4 cm) by 30 in (76.2 cm), and they were so heavy they had to be lifted into place with a small crane. By 1905, an estimated 1,500 companies were manufacturing concrete blocks in the United States. These early blocks were usually cast by hand, and the average output was about 10 blocks per person per hour. Today, concrete block manufacturing is a highly automated process that can produce up to 2,000 blocks per hour. The rising concentration of harmful nutrient compounds – specifically nitrogen and phosphorus – in municipal wastewater treatment plant discharge causes cultural eutrophication (nutrient enrichment due to human activities) in surface waters. Summer algal blooms are a familiar example of this eutrophication, and can present problems for ecosystems and people alike: low dissolved oxygen, fish kills, murky water, and depletion of desirable flora and fauna.Because conventional biological processes designed to meet secondary treatment effluent standards typically do not remove total nitrogen (TN) and total phosphorus (TP) to the extent needed to protect receiving waters, wastewater treatment facilities are increasingly being required to implement processes that reduce effluent nutrient concentrations to safe levels. This can be a challenge for wastewater treatment plants because it usually involves major process modifications to a plant, such as making a portion of the aeration basin anaerobic and/or anoxic, which reduces the aerobic volume and limits nitrification capacity.Clarifier solids loading usually limits the concentration of biomass available for nitrification, so it’s common to increase bioreactor volume to increase treatment capacity. This can be very expensive and even impossible if space is limited. Download Civil Engineering Seminar on Biological nutrient removal in waste water treatment. Permeability is one of the main factors that can affect the durability of the structure. Permeable structures can result for various reasons such as low cement content, poor compaction too much water during concrete mixing etc. The passage of water through cracks ,joints, voids, and inter connected capillaries in the mass concrete makes the concrete pervious, ultimately leads to poor protection of structures, increases the rate of alkali aggregate reaction and also accelerates the rate of corrosion in the steel. The impervious property of concrete can be improved by addition of admixture in the green concrete or by surface treatments and the phenomenon is generally known as waterproofing.The products used in both the stages of concrete are known as construction chemicals or admixtures and waterproofing is one of the aspects in construction aid. These products are required for modifying the properties of concrete or mortar to make them more suitable for the work at hand or for the economy for such purposes are saving energy like Integral water proofing compounds,Acrylic based polymer coatings,Mineral based polymer modified coating,Chemical DPC for rising dampness,Water proofing adhesive for tiles, marble and granite,Silicon based water repellent material,Injection grouted for cracks,Protective and decorative coatings,Joint sealants. Lateral soil deformations (lateral spreading) have proven to be the most pervasive type of liquefaction-induced ground failure. Lateral spreading involves the movement of relatively intact soil blocks on a layer of liquefied soil toward a free face or incised channel. These blocks are transported down-slope or in the direction of a channel by both dynamic and gravitational forces. The amount of lateral displacement typically ranges from a few centimeters to several meters and can cause significant damage to engineered structures.